Well this song caught me by surprise. I didn't hear it for a long time, and I even when I did hear it, I didn't really think much of it until I saw Lorde perform it at the Grammy awards. Then I just fell in love with it. It was actually my "Song of the Month" for February 2014, which means that I played that song more than any other that month. It's just such a catchy pop song, and Lorde has an incredible voice. It's crazy how young she was, and is, and how she presents herself. She seems so mature for her age, both vocally and with her energy as well. 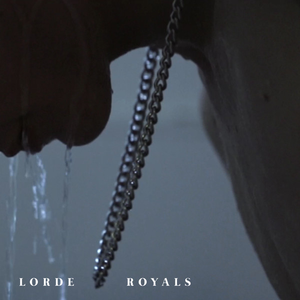 "Royals" was one of the best songs to come out of 2013, there's no disputing that, I thoroughly enjoyed it. If you missed #77 go here.